Do you remember when you were little, and you were learning how to write? Your teacher taught you how to properly form each letter, to cross every “t” and to dot every “i.” When did all of those proper rules for writing fall away? Somehow, almost every person I know has begun to write sloppily. I remember being told to pay attention to how I wrote, because only doctors have really bad handwriting. Or, what if someday I did something really important but no one could tell what I did because they couldn’t read my handwriting? Well, I’m here to tell you: it happened. Okay, not with me, but with many psychologists. I came across a series of images where the only identifier I had for the person in the picture was their signature on the bottom. However, these men have some of the worst handwriting I have ever come across and I’m not sure who they are! I began to ask people that walked by the computer I was working at. Do you know who this is? Can you read their handwriting? Let’s see how good you are at deciphering bad handwriting. Look at the photograph below, can you figure out who it is? Fine, I’ll tell you. 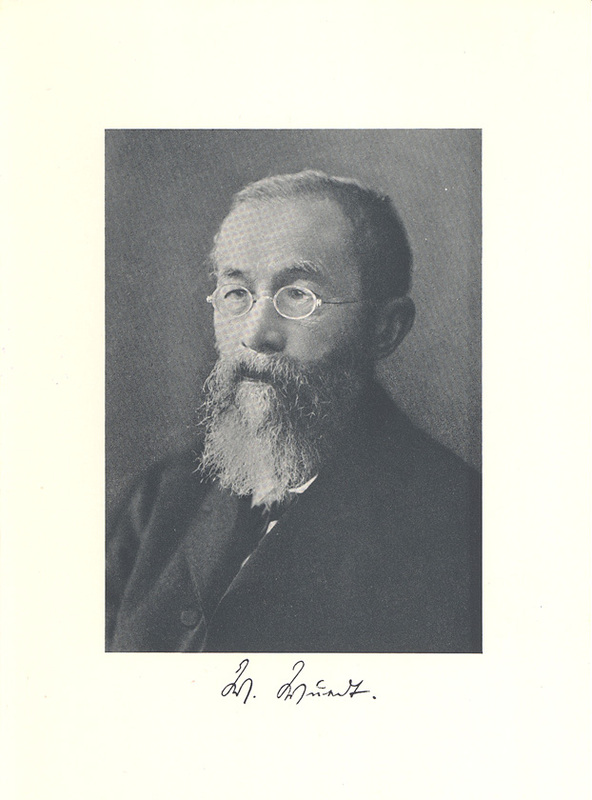 That is Wilhelm Maximilian Wundt, but I had to ask at least five people before one of them could read the handwriting. Let’s try another one, one that I haven’t been able to decipher. 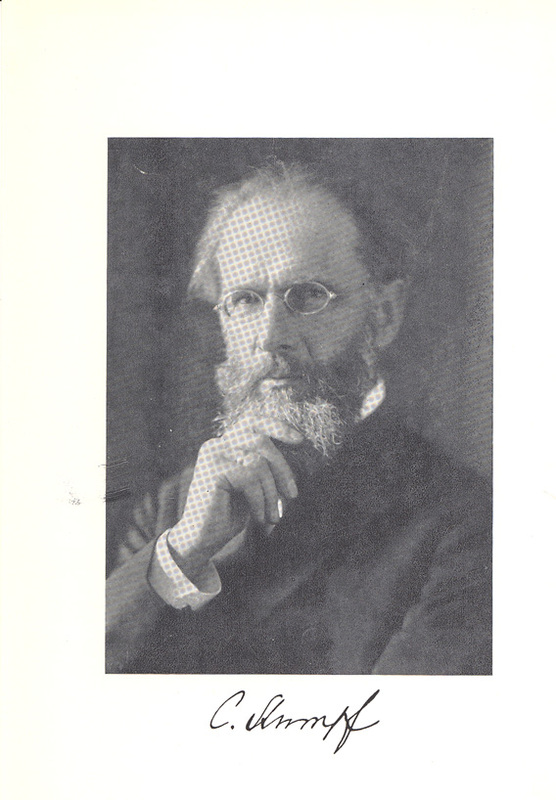 Can you read this man’s name? If you can, let us know! Otherwise he will forever be listed as unidentified in this photograph because we can’t read his handwriting! Is this one any better? Who the heck is this man? In the future, pay attention to your handwriting, or someday, years from now, no one will know who you were because they couldn’t read your handwriting! Today I’m going to guide you through one of my days working as a practicum student in the CHP’s Still Images Collection so you can see what it takes to research and digitize the collection. First, take a box off the shelf. A box from the CHP Still Images Collection. 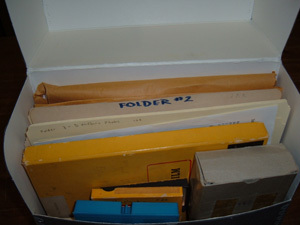 Once processed, this box should contain nothing but photographs in folders. Take everything out of it, and see what’s there. Anything that obviously does not belong in the Still Images Collection gets moved out first and is passed on to someone else so it can get placed in the appropriate collection. This includes microfilm, videos, plaques, papers, and more. Processing begins with removal and sorting of all materials. 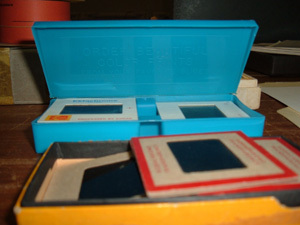 If there are slides or glass negatives in the box, they have to be removed and housed separately. 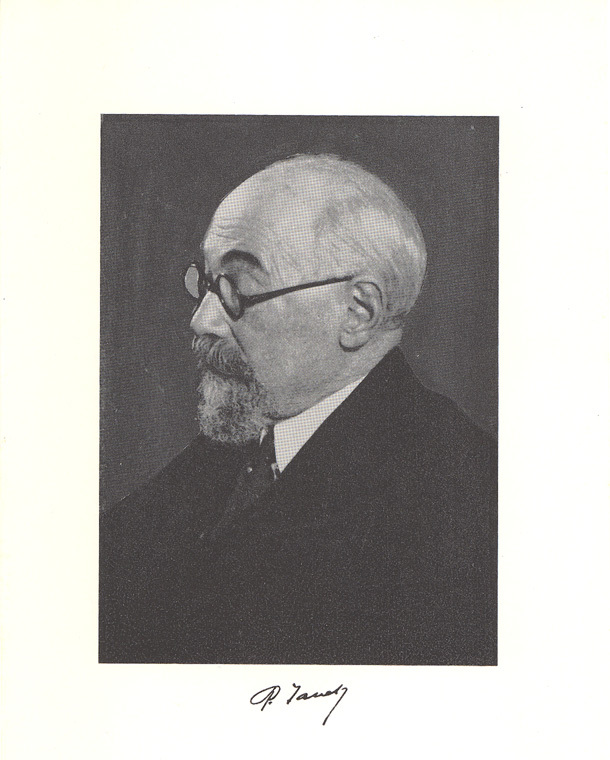 The descriptions of these images, however, are added to the CHP Still Images database, just as is the case with regular photographs. 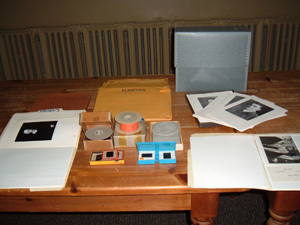 The Still Images Collection contains many slides, which are removed and housed in specially designed slide boxes. Processing the images also means thinking about preservation. This includes assessing and addressing the condition of the folder, the box, and the image. I also place acid-free paper between each image. Once they have been preserved as best as you can, it’s time to digitize! Each image will have two files saved: a high resolution tif version and a lower resolution jpg version. Eventually the .jpg will go online for anyone to look at. Acid-free paper interleaving extends the life of the images. With the images scanned, I create metadata such as a title for the object, a description, the year the photograph was taken, any information on the photographer and more for each image. Anything that I find out about the photograph gets recorded and saved, and becomes the metadata for the image. How do I research the images? In the best-case scenario, the back of the photograph will contain most of the information you’re looking for. 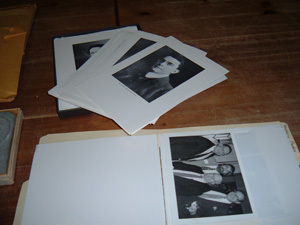 It is common to record the date and who was in the photograph. The downside to this is trying to read handwriting – often the information is there but hard to read! Sometimes, a box of photographs has a content list in it. This is also a good place to look for information, because if someone else researched the photographs before me, there is no need for me to do it again. 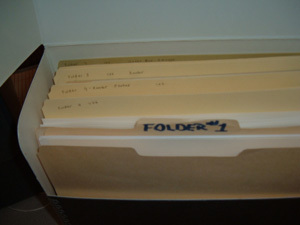 The folder that a photograph was in can contain information on where the photograph came from, such as the name of the person who donated it to the Center. 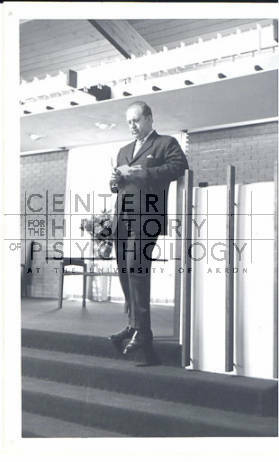 The Center also has large files of information on objects that have come into the Center. If I have just a small piece of information, like a name, I can take it and go hunting. I can use the finding aids to try and find out where it came from and when, possibly identifying people in photographs. Despite my best efforts, frequently I can’t find anything out about an image. In that case, I label it as unidentified. For example, does anyone know who the heck this is? With the information saved for each image, I carefully box everything back up and return it to the shelf. Time to start on the next box! Michelle Breckon is a student in Kent State University’s School of Library and Information. She earned her undergraduate degree in English literature with a minor in writing from Grand Valley State University in 2009. She started at Kent State in 2010 and plans to graduate in December 2012. Michelle has proved to be a fabulous member of the CHP team and we’re glad to have her on board. 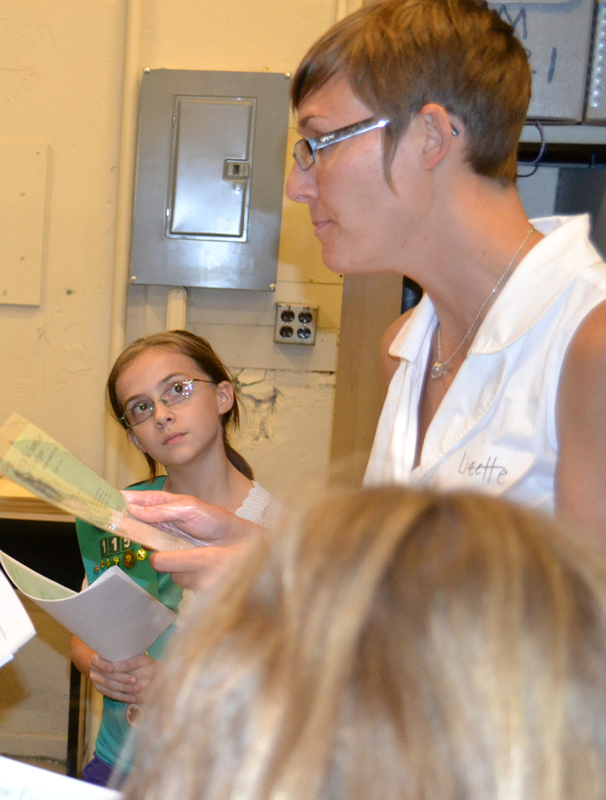 To celebrate Archives month and the 100th anniversary of Girl Scouts USA, the CHP hosted a “Night at the Archives” for 27 fourth- and fifth-grade Girl Scouts, all of whom earned a Playing the Past program badge. The girls visited five different stations, learning about the history of women in psychology, the psychology of facial expressions, handwriting and personality, form boards as tests of intelligence, the history of Girl Scouts, and Rorschachs and the game of Gobolinks. 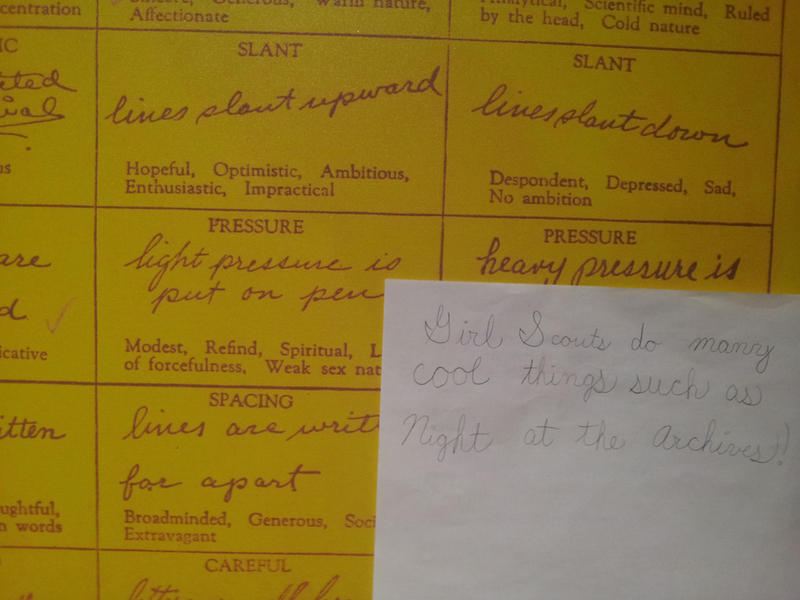 In this blog entry, Girl Scout Molly Bagatto (aged 10), describes her night at the Archives. My Girl Scout troop went to the archives for an event called Night at the Archives! We earned our Playing the Past badge and learned about history, games, books, and other things that had to do with women and girls. I learned so much about how similar I am to strong women of the past who fought for education and programs for girls! At station 1 we learned about 3 women. My favorite was Mary Whiton Calkins. I learned that she was told by a man that men were smarter than women at the type of research they were doing. The man had nothing to prove. Then Mary did some research and found out that men aren’t smarter. Since she did research, she could prove it. At station 2 we learned about facial expressions. We played a very old game with expressions. The game was pictures of women with different expressions. We had to guess the expressions. We then played another game that was newer. There was an expression on a card. Then a person had to act out that expression and everyone had to guess what expression it was. After that we had some fake wood people with heads that turn in different spots. We had to match the parts to make an expression. 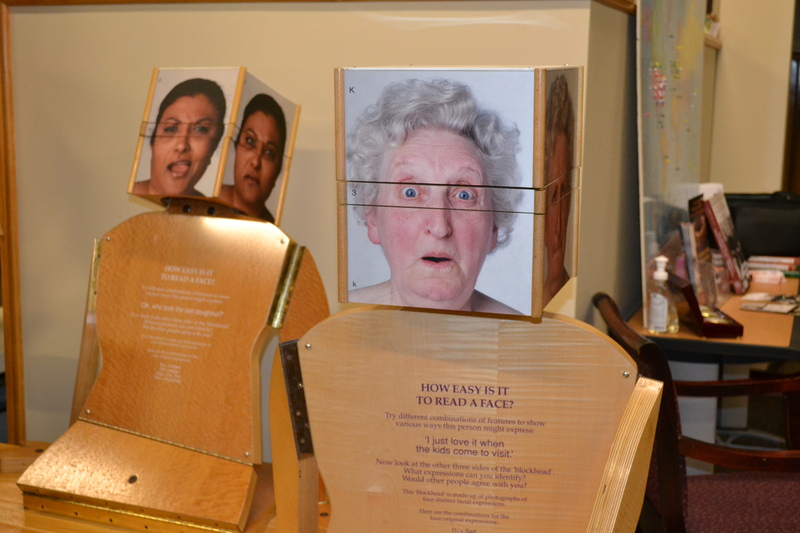 Girls learned about facial expressions by interacting with this “How Easy is it to Read a Face?” display. At station 3 we learned about behavior back then. We wrote a sentence on a sheet of paper in cursive. We then put it up to a chart and see what matched our handwriting. When you found the ones that matched there were adjectives under it. Back then they used this chart to see how you acted, but it still described me perfectly! Then we played an old game where we had to put shapes in the right slots. This game was used for testing how good you were with shapes and how good you were with your hands. Girls used a 1939 Handwriting Scale to assess their personalities using handwriting. At station 4 we learned about Lou Henry Hoover. We learned that she served as president of Girl Scouts in 1922-1925. Before she even was the president of GS in 1921 she was the vice president of Girl Scouts. In 1929-1933 she served as honorary president of GS. Much, much later in 1944 she died in New York. Lizette reads a letter from Lou Henry Hoover, pulled from the CHP collections. At station 5 we learned about ink blots and poetry. 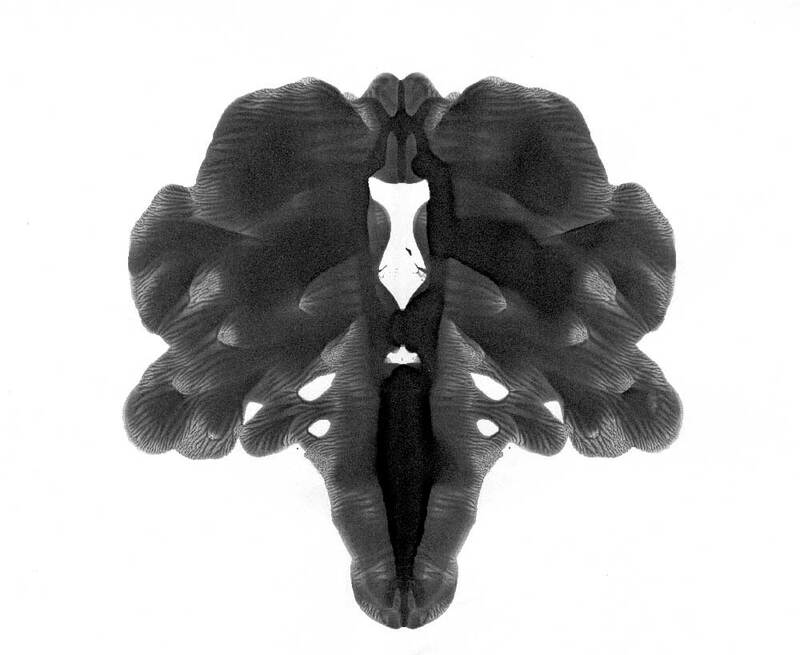 First we did ink blots. We squirted some black paint in random spots on a sheet of paper. Then we folded it in half. We pressed it so the paint would spread out to make a picture. We then opened it up and tried to find a picture out of it. Then we made a poem about it. “The elephant just sits there, mocking me. It gets fed so much that I can’t bear! I would like to give special thanks to the nice and talented women who taught us. Thanks to Shelley, Jodi, Lizette, Sara, and Dorothy I earned my Playing the Past badge. The CHP would like to give special thanks to Molly for being our guest-blogger! 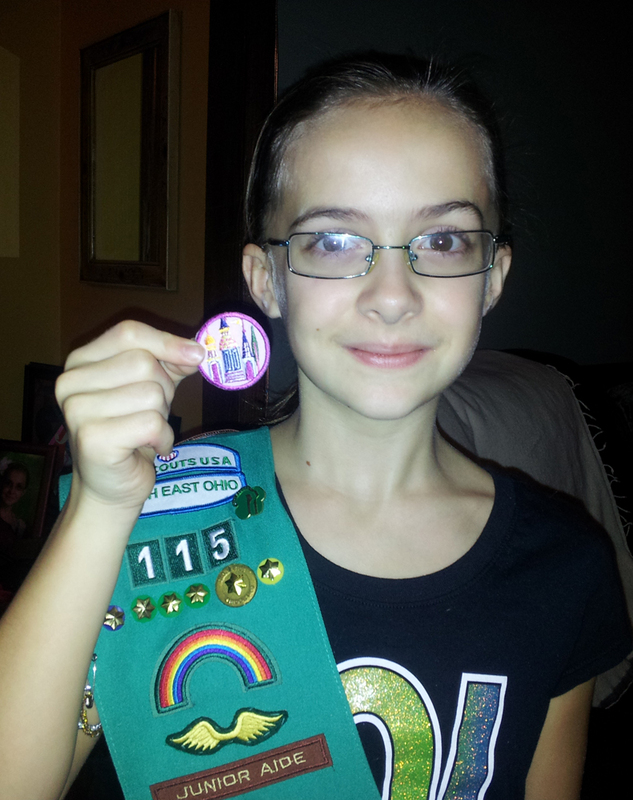 We hope to see Molly and the Northeast Ohio Girl Scouts again soon.